Video, 1,17 min, format file Avi, 1920pixel X 1080pixel The artwork is a short duration video.It initially starts with a stormy sea. An image with pupils emerge from the sea, for a while we can see them clearly and then slowly they disappear again into the sea. 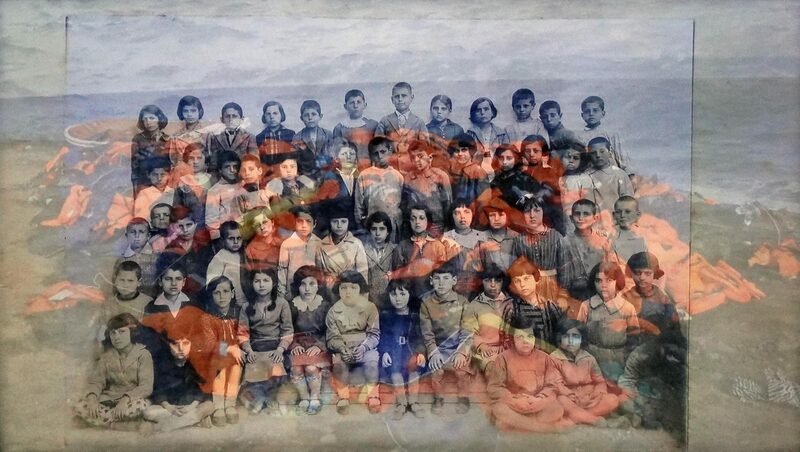 The image of the students is an old photo that belonged to my grandmother sister who was refugee from Asia Minor. I edited the old photo with another image, an image with lifejackets from refugees into a Greek shore.